to think about is when we can fit. Hitachi Capital has helped some of the biggest names on the high street including John Lewis and Amazon. They specialise in a number of sectors, from jewellery to furniture, home improvements to healthcare. Shawbrook Bank was given the title ‘Best Unsecured Loan Lender 2016, 2017, 2018’ by the Financial Reporter. 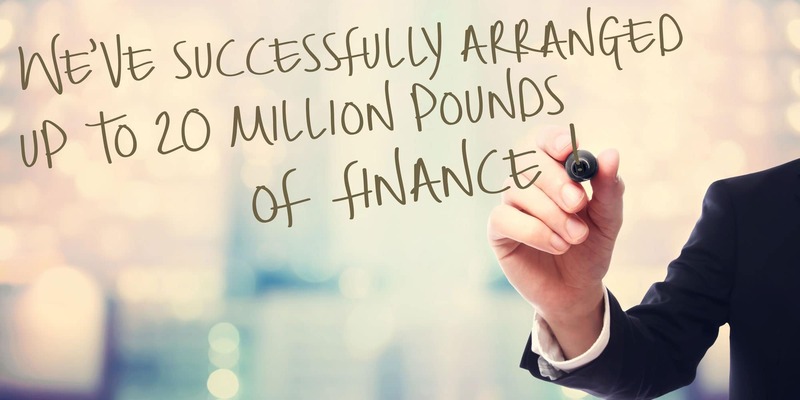 They arrange finance for some of the largest home improvement companies in the UK. You may have already decided you want to use our finance, or like others, choose to take advantage of our finance during our quotation. Whichever stage you determine how you want to pay, our options take the stress out of making that decision. Using our finance is a great way to get the work done on your home sooner rather than later. All our products are available for finance. Enjoy the benefits of new windows, doors, conservatory or solid roof and freeze the payment or spread the cost across manageable instalments. 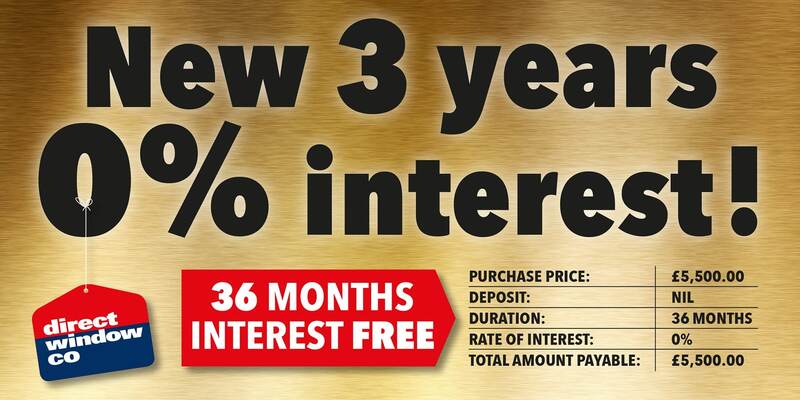 Relax, we’ve got it covered, pay it back within 36 months…..
Pay back at any point within 36 months. Interest free period starts on completion of installation. Over payments possible and will reduce interest charged against outstanding balance. Deferred period starts on completion of our installation. 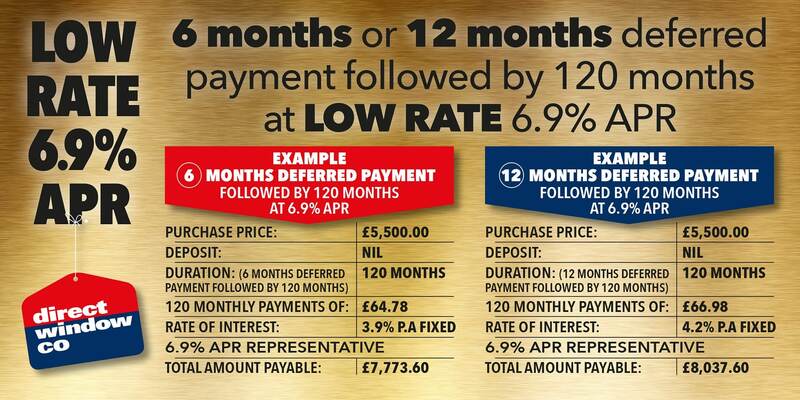 Settle within deferred period(pay £29 admin fee). All credit is subject to application and status. Terms and conditions apply. Our increased demand to advertise in a tabloid that was exclusive to Direct Window Co created the format for today’s newspaper. After using various gazette newspapers to advertise, we decided to publish and deliver our very first Direct Times Newspaper in March 2010. • We make every effort to protect the environment by printing on paper which is virtually 100% recycled. • Each time our newspaper is posted through a door it potentially helps to provide jobs for nearly 200 people. • Over 1 million copies are delivered each month across the northwest of England. We consistently make every effort to ensure our sales & offers stay current. 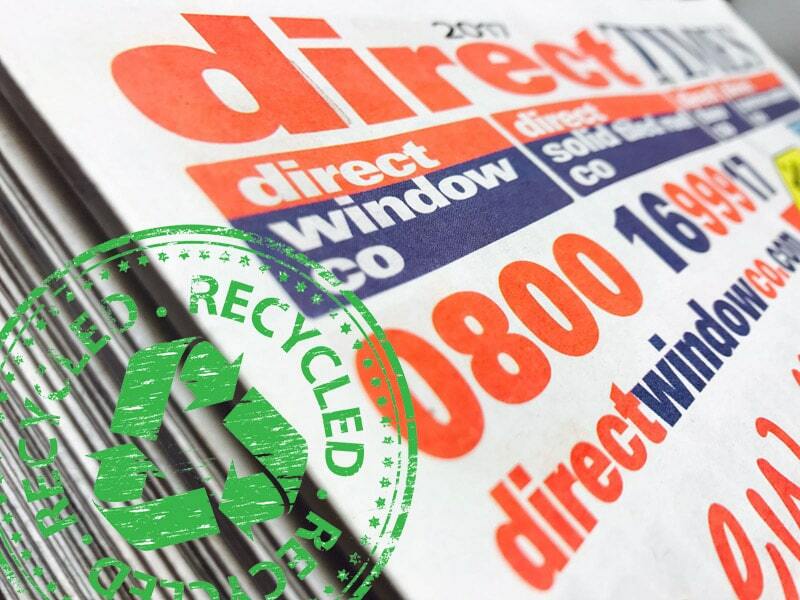 Check out the latest Direct times newspaper to see some of the biggest & best offers on a range of windows, doors, solid roofs, porches & conservatories. 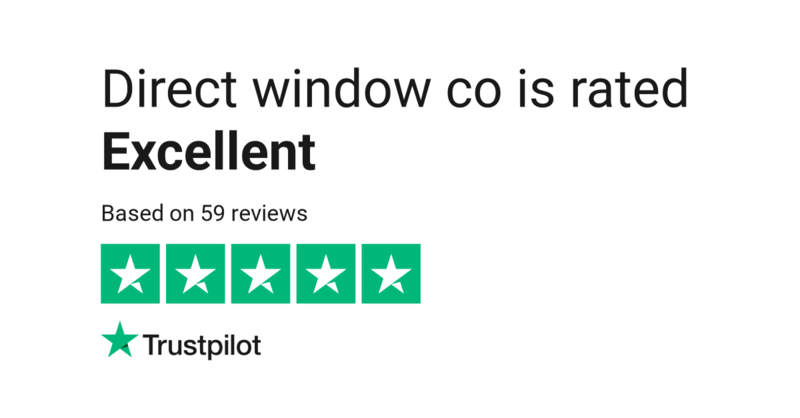 Direct Window Co is one of the biggest and best double glazing window companies in: Lytham St Annes, Blackpool, Morecambe, Lancaster, Fleetwood, Preston, Clitheroe, Blackburn, Accrington, Burnley, Darwen, Bolton, Bury, Rochdale, Oldham, Manchester, Southport, Stockport, Skelmersdale, Wigan specialising in A Rated Windows. 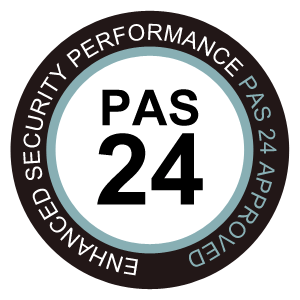 We are available to help you 24 hours a day, seven days a week. Credit is subject to application & status. 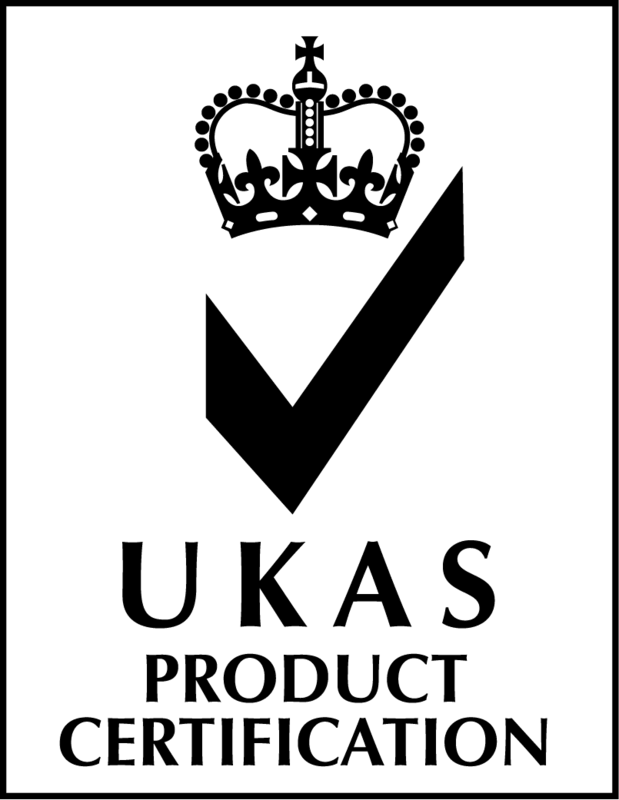 Authorised and regulated by the Financial Conduct Authority. C.A. Goss Ltd t/a Direct Window Co, Direct Door Co, Direct Conservatory Co & Direct Solid Tiled Roof Co, of 40-42 Arkwright Court Blackpool and Fylde Industrial Estate, Blackpool, Lancashire FY4 5DR act as a credit broker and not the lender. Credit is provided by a small panel of carefully selected credit providers, authorised and regulated by the Financial Conduct Authority. Registered in Cardiff no. 1630491.